Teaneck Therapist: Mars & Venus Counseling Center - Therapist 07666. 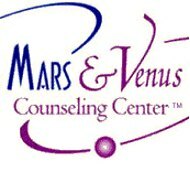 Mars & Venus Counseling Center, LCSWs, DCSW, LPCs, LCADCs, Ph.D.
LCSWs, DCSW, LPCs, LAC, LCADCs, and Ph.D. Send A Message To Mars & Venus Counseling Center. Session Fees: Please call to inquire about insurance. Daytime, evenings, and weekends available. Required authorizations initialized and maintained throughout. All insurance claims are filed on your behalf. Sliding fee scale for insured and non-insured. Richard Drobnick, LCSW, DCSW, and Morrisa Drobnick, LCSWs, co-directors, are trained and licensed by Dr. John Gray, the author of "Men are from Mars, Women are from Venus" and the best-selling relationship author of all time. Richard specializes in adult and relationship counseling. Morrisa specializes in child, teen, family counseling, and grief and bereavement. The staff at the Mars & Venus Counseling Center is a small group private practice of talented and experienced counselors. Each specializes in different areas of psychotherapy for adults, couples, teens, children, families, and addiction. Each has their own distinct interests and has developed unique counseling styles that enable them to connect with clients to reach their personal/interpersonal goals. Richard Drobnick and when is a good time for couples counseling. Richard Drobnick and why marriage is NOT supposed to be easy. For more videos and articles, please visit our Library pages at the Mars & Venus Counseling Center's web site.